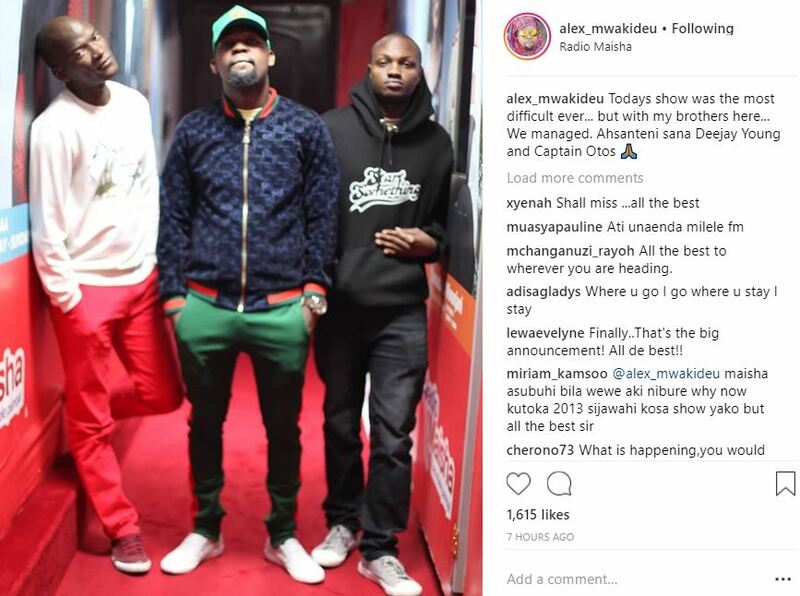 Kenyan radio personality Alex Mwakideu has called it a day at Standard Media Group-owned radio station – Radio Maisha. The celebrated radio presenter leaves the station after a successful eight years. He made the announcement on social media after hosting his final show for the station last Friday. “Kilicho na mwanzo HAKIKOSI mwisho. It’s been 8 AWESOME YEARS and I will miss Radio Maisha. I will always remember kuanzia the first day when we OFFICIALLY LAUNCHED this station during my Show…It’s been a good ride!! !” wrote Mwakideu. 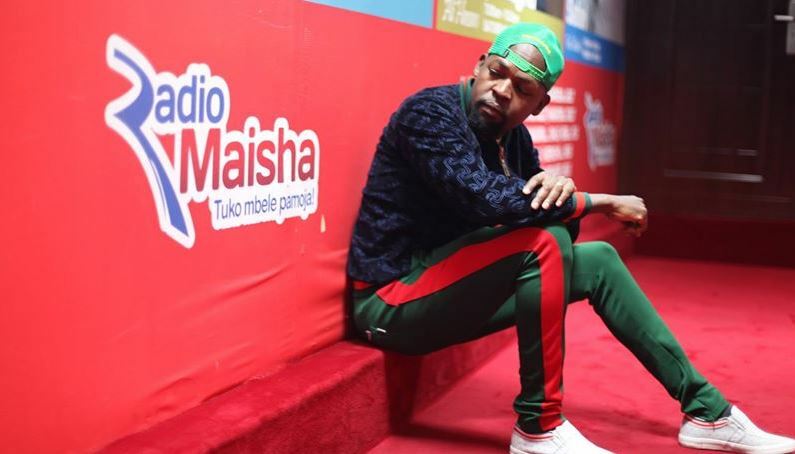 The radio guru further thanked his former employers and the presenters he has been able to work with, including Jalas, Otoyo, and Nick Odhiambo. In another post, he disclosed that his last ‘Maisha Asubuhi’ show was the most difficult ever. Mwakideu’s exit coincides with Jalango’s sudden departure from Royal Media Services’ Hot96, after a little over a year. Mwakideu and Jalas, who were former copresenters at Radio Maisha, are set to be reunited Mediamax owned Milele FM according to Business Today. ‘Maisha Asubuhi’ will now be under the able hands of Kazungu Matano, popularly known as Captain Otoyo, who coincidentally left Milele to join Radio Maisha to host the show that Jalang’o used to host. 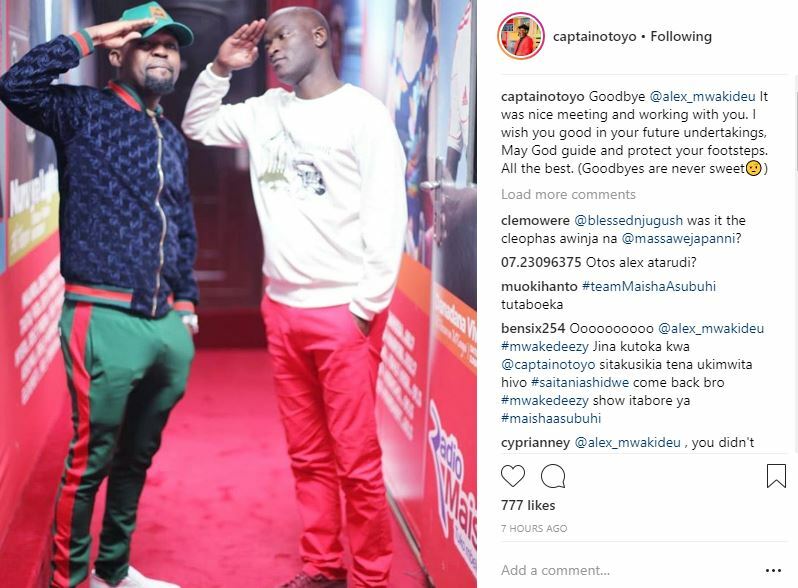 Otoyo penned a heartfelt message to Mwakideu on social media wishing him all the best.